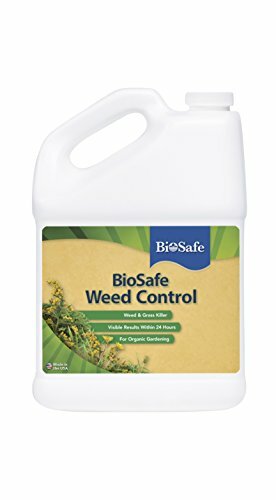 BioSafe Weed Control is an organic herbicidal soap providing a burn down of annual and perennial broadleaf weeds and grasses within hours of application. The perfect choice for both avid and new gardeners, BioSafe Weed Control is easy to use with visible results; it will start to work immediately, destroying the cells of the unwanted plant within hours. Because BioSafe Weed Control does not leave any residue, gardeners can replant four days after application. As a non-volatile and water-soluble herbicide, BioSafe Weed Control is not harmful to people, pets or the environment. 2 fl. oz. covers 200 sq. ft.